Washington National Opera will present its first Philip Glass opera beginning tomorrow: a revised version of Appomatox, first heard in San Francisco in 2007. As Glass explained to Michael Cooper in a recent New York Times article, the original version focused more on Lee’s surrender, which ended the Civil War at Appomatox in 1865. The revised opera opens with Frederick Douglass telling Lincoln he would like to see “voting rights for all free men of color,” and continues by dramatizing the Rev. Dr. Martin Luther King Jr.’s 1965 visit to the White House to press President Lyndon B. Johnson on the Voting Rights Act. 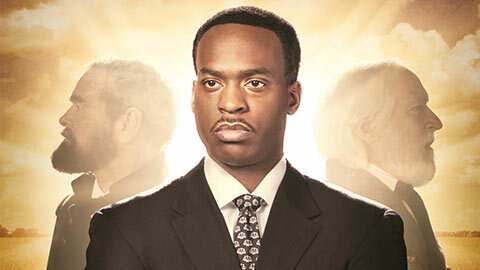 WNO’s production stars Seattle favorite Richard Paul Fink as Ulysses S. Grant and Nicholas Katzenbach; rising star Solomon Howard plays both Frederick Douglass and Martin Luther King Jr; and the great Donald Eastman designed the set. When Seattle Opera presents The Marriage of Figaro in January, American mezzo Karin Mushegain will return as everyone’s favorite oversexed teenage androgyne. But first, this gorgeous young singer sings Cherubino down at Opera San José; tomorrow night is the first of her six performances. Ms. Mushegain made a strong Seattle Opera debut as Rossini’s Cenerentola in 2013. Karin Mushegain as Cinderella implores the prince to let kindness prevail in Rossini’s La Cenerentola, with Brett Polegato (Dandini), Dana Pundt (Clorinda), Sarah Larsen (Tisbe), René Barbera (Ramiro), and Valerian Ruminski (Don Magnifico) and the orchestra of Seattle Opera conducted by Giacomo Sagripanti. When Seattle Opera presents our first Mary Stuart starting in February, our audiences will have their first chance to hear the exciting young American lyric tenor Andrew Owens in the role of the conflicted Leicester, beloved by Queen Elizabeth but in love with Mary Stuart. Owens is currently in Miami, singing Count Almaviva in the Florida Grand Opera production of The Barber of Seville, which opens tomorrow night. Seattle Wagner-lovers remember David Danholt’s thrilling triumph in our 2014 International Wagner Competition. David Danholt sings the conclusion to "Parsifal," with the orchestra of Seattle Opera conducted by Sebastian Lang-Lessing. 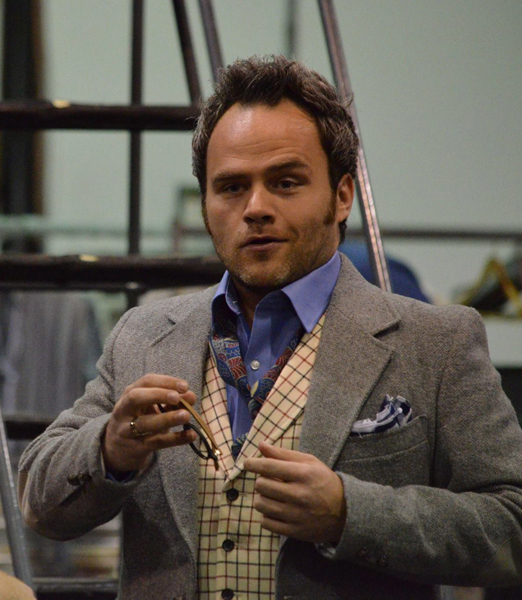 The Danish tenor returns to Seattle to sing Erik in our Flying Dutchman in May. But starting tomorrow, he’s starring in Michigan Opera Theater’s production of The Passenger, a 1959 opera by Soviet composer Mieczyslaw Weinberg that wasn’t performed until 2010, but since then has been presented all over the world. Danholt plays a West German diplomat who had no idea that his wife once served as an SS officer in Auschwitz; a chance encounter on a trans-Atlantic crossing opens a world of guilt, denial, fear, courage, and love, in a searingly powerful drama. 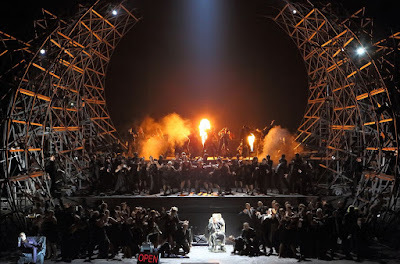 A video is available of The Passenger’s world premiere, in Bregenz.